If you use your truck to TOW, your transmission will thank you for this upgrade!!! Available in AS-Cast Finish $225.00, Black Powder Coating $275.00, Show Room Polished Finish $340.00 + Free Shipping & No Sales Tax. Plenty in STOCK and will ship from CALI. Gasket and filter not included (use stock parts). 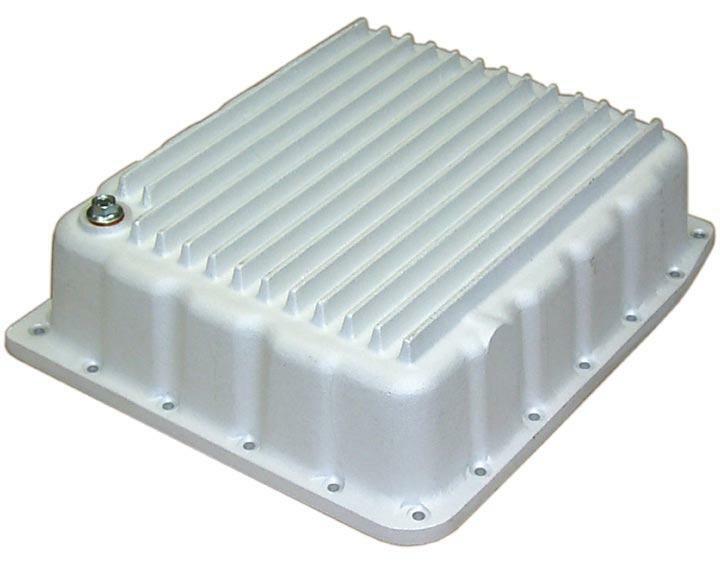 If you would like PML to machine your pan for a temperature sensor, there is an additional charge of $40. Great for aftermarket gauges. (please specify sensor size) The standard Titan transmission temperature gauge usually included with the tow package works independent of the transmission pan so you do not need the boss machined. This pan has a boss that can be machined and tapped for a temperature sending unit. Dimensions: are in this pdf file. This pan is 2 ¼ inches deeper on the outside and 1 ½ inches deeper on the inside than a stock Titan pan at its deepest point. Always check your vehicle to verify transmission and clearance before ordering. This PML transmission oil pan for the Nissan RE5R05A fits Titan, Armada and Navara. 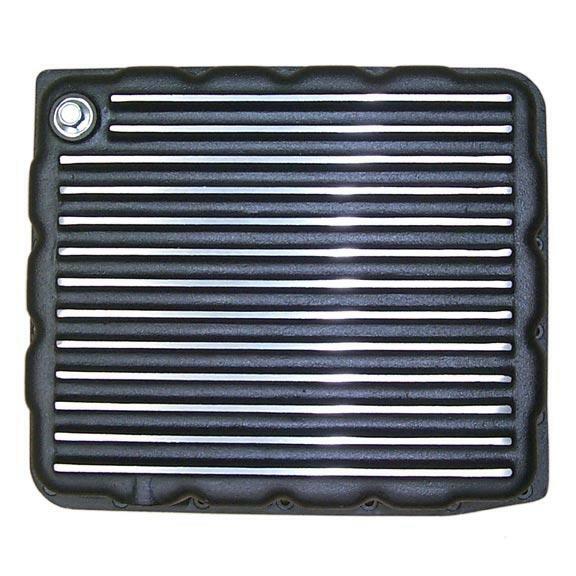 This pan features extra capacity and fins for cooling, thick wall construction, and a drain plug to facilitate oil changes. PML has a low profile Nissan pan also. Many Nissan and Infiniti trucks, cars, and SUVs use the RE5R05A transmission. Some vehicles, like 350Z, Infiniti G35 and QX56, do not have ground clearance for a deep pan. Also some trucks, like Titans with skid plates or Navaras, need a lower profile pan. Frontier, Xterra, and Pathfinder owners have reported cross members running under two corners of the stock pan so cannot install a larger aftermarket pan. PML is working on design to accomodate. If you have one of these vehicles, please let us know about your stock pan and clearance (email or call 310-671-4345. Read on the Titan Talk forum about lower transmission fluid temperatures after installing a PML pan in the Titan performance modications thread. The filter on the RE5R05A is a screen, and it bolts on to the valve body of the transmission so no filter supports or extentions are needed. This transmission pan works with stock gaskets. These are usually about $20 to $25 from your local Nissan dealer. The Nissan part number 3139790X0A (2007 and newer) or 3139790X00 (2003 to 2007) for Titan trucks. Why Should you upgrade to a PML Transmission Pan?? ?